Henry Esson was born at the farm of Balnacraig, about two and a half miles south of the small village of Tarland, and a similar distance from Aboyne. He was baptised Hary Esson on 7th March 1793, the youngest son of Robert Easson and his wife, born Jean Reid, who came from the nearby parish of Towie. Henry’s brothers were Robert and John, his sisters Jean, Margaret, Catherine, Janet and Helen. 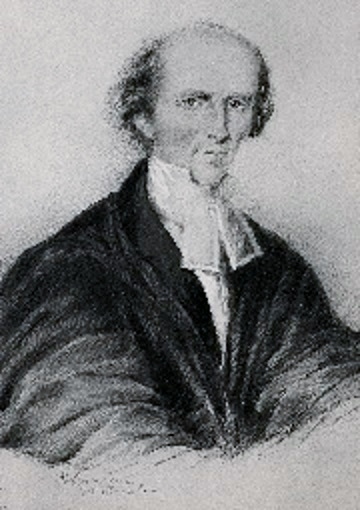 Henry’s father, Robert Easson, was a respected member of the community, who was elected an elder of the parish four years after Henry’s birth. He rented the farm of Balnacraig which is not to be confused with the old mansion and estate of Balnacraig House, a few miles to the East and on the South side of the River Dee. Henry had an exceptional education. He no doubt attended the local school for his earliest years, where he would have received a good education. A basic education could be obtained at parish schools in those days, but they were ypical led by graduates of Aberdeen, and more academic and advanced subjects could be taken for a fee. We also know Henry went to Aberdeen Grammar School for at least a time, from a comment in a character reference from the Reverend G. Garioch in Henry’s later life in Montreal. Aberdeen Grammar not only provided a good education, it also allowed pupils to mix with the most gifted and privileged of pupils from an early age. That no doubt contributed to Henry’s social confidence and conversational skills, a point often commented on during his career. Byron attended the Grammar School, from age 10 until 14 and it seems most likely Henry did the same after being at his local school for some years. When he left the school Aberdeen Council records of 27th October 1807 show he did well enough in the bursary examination to receive one of Sir Thomas Crombie’s bursaries of £8 a year for four years. Just two of these bursaries were announced, with a number of others at £5 a year. Henry started University at age 14 as was common in those days. He attended Marischal, one of the two Universities in Aberdeen at that time, Kings College being the other. Much very influential thinking emerged from Scotland as a whole and from Aberdeen specifically in the 19th century. 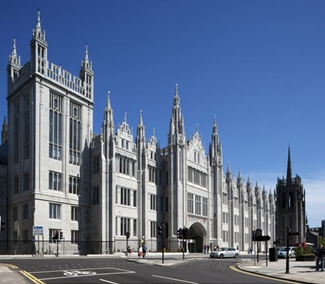 Thomas Reid and James Beattie of Marischal College were two men whose thinking had great influence throughout the Church of Scotland and ultimately to society as far afield and importantly to the new world. The style of thinking provided a view on religion and morality which was pragmatic and moderate, rather than abstract, ideological and evangelical. This was often referred to as Scottish Realism at the time. James Beattie was particularly forceful in pressing this perspective, and challenged some of the prevalent thinking of the time. Famously this logic was used to break down abstract arguments used to justify slavery, a key topic of the day. Beattie in particular challenged David Hume on one of his works on this subject. Like Henry and Alexander, Beattie came from a humble farming community, Perhaps this was one of the reasons his ideas had such resonance with Henry and others like him who came from a similar background. Henry did well at University. In 1808, at the end of his first year at Marischal, he came first in his class of 35 in Greek to win the Earl of Buchan’s highly regarded “Silver Pen” prize. There are a number of references to the excellence of his work, including one which suggests he “won all prizes” consistently throughout his time at college. He graduated with an M.A. with very good results and many supporters in 1811 at the age of 18. In Henry’s time, graduates who wished to enter the clergy as he did, had to spend 6 years “attending the profession” or “closely following the study of Divinity and languages” before they could be licensed for a ministry. Just as today, the Church of Scotland would also not ordain Ministers until a position became available. To make matters even harder it was practically unheard of for someone to find a position as a minister without support from an aristocratic or influential sponsor. This no doubt was one reason why so many graduates worked as teachers in small schools in Scotland. After University Henry set up an academy in Aberdeen which he advertised in the Aberdeen Press and Journal of 7th April 1813. The Reverend R.J. Brown mentioned this much later in 1851, when supporting Henry’s application for a post with Toronto University. In his letter he commented on “the ability with which you conducted your respectable Academy in this city, for some years before you went to Canada” [6 p.19]. Six years passed, and in the end Henry did not have to wait long for a position. Professor Reverend John Stuart of Aberdeen was asked in a letter of 1817 to recommend a suitable candidate to be an assistant to the Reverend James Somerville at St Gabriel’s Scotch Presbyterian church in Montreal. He did not hesitate in putting Henry forwards. The official version was that St Gabriel’s church had gone through a scrupulous process to consider the merits of looking for an assistant and had given John Stuart carte blanche to propose whoever he thought most suitable. In practice the events seem to have been a little more involved. 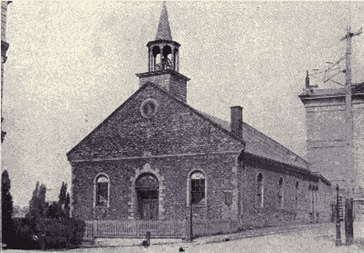 St Gabriel’s was one of the foremost churches in Montreal, its bell was said to be the “first Protestant bell sounded in Canada”. The congregation was large and outspoken when it came to the church and its ministers. References were often made to the pressure of work for Ministers and the many duties they had to undertake. The feeling amongst some in the church was that Reverend Somerville was struggling with his duties and there was even doubts cast about his stability and even of drinking. Researching family records has now made it clear that Henry had sponsors amongst the St. Gabriel’s Church elders. Henry’s brother John had married Frances Auldjo, the daughter of George Auldjo, the Provost of Aberdeen on 9th July 1812. George Auldjo had passed away some time before, but his brother Alexander attended the wedding where he was recorded as a witness and a member of the Honourable East India Company. Alexander was a merchant who had recently returned from Montreal. He first went there in 1782, and had been involved in many things from fur trading, to life assurance and shipping, as well as simply being prominent in society generally. He took an active part in the Militia for example, and he was an elder of St Gabriel’s Church. Alexander clearly knew Henry as they were both witnesses at John’s second son Robert’s baptism in 1815. Henry was recorded, there as “Henry Esson Teacher”. There seems little doubt that Alexander Auldjo strongly supported Henry’s selection and appointment. There can be no doubt either that Henry was well qualified for the job. however. As mentioned earlier, patronage was an essential part of the process for clergy seeking a position as a minister. For whatever reason, it seems this link was not voiced loudly to say the least. Today, despite much interest in the subject few if any are aware of the connection. Henry went to Canada in 1817. At the moment we have no record of his journey, although depending on the conditions it could often be very arduous, carrying the risk of disease while travelling and on arrival in the colonies. There smallpox, cholera and typhoid were at epidemic proportions at times. Henry would have travelled by sailing ship, a journey which took around 7 weeks as the first steam ships to cross the Atlantic only appeared from 1819 onwards. He would have arrived at Quebec, and subsequently gone on to Montreal by steam boat as John had done before him. Henry was extremely well received at St Gabriel’s at first. Indeed his intellectual and engaging manner seems to have made him something of a celebrity. It was a difficult role however as described before. He was obliged to work alongside the Reverend Somerville, a situation they managed well by all accounts. His salary was enhanced for the first four years at £400. After that his salary would have fallen, and had to be supplemented by payment for specific items of work and services. Having to share the limited funds, while shouldering most of the work was not easy. In 1822 Somerville resigned though and Henry assumed full responsibilities. In time became involved in the life of Montreal in general, so that the Montreal Almanac was able to report in 1831 that Henry was Corresponding Secretary of the Society for promoting education and industry in Canada, named as a leader of the Montreal Academical Instution (which he opened in 1822), a Vice Presidents of Montreal Society for the support of an house of industry, on the Committee of Montreal Auxiliary Bible Society, ex Officio on Montreal Savings Bank and Vice President of Montreal Mechanics Institution alongside L J Papineau. Henry was minister at St Gabriel’s for 27 years, and he was extremely well spoken of when he passed away, He must have handled the many difficult circumstances admirably and in a way which demanded respect. Problems arose occasionally naturally enough. He was once accused once of perhaps having taken too much wine at a social gathering, impairing his work. Given the sensitivities that was an extremely serious charge and certainly Henry took it as such. He responded very directly and with great intellectual vigour, as was his habit. In answer to these accusations he produced a full book of refutation, which is still regarded as a substantial work in its own right. Henry was no shrinking violet when it came to disagreements. Opponents could often face a veritable wall of words, an intellectual diatribe. Given that his opponents were often less well educated and articulate than he was, he must have been quite an adversary. On occasions it was suggested he might have been wiser to avoid some of the confrontations he found, but no one ever questioned his integrity or good intent. The most serious disagreement arose between Henry’s supporters and those of a newly arrived Minister, the Reverend Black became polarised in the church so much at one point that a form of siege took place at the church. After much discussion and debate,Black eventually had to leave St Gabriel’s to start up the new church of St Andrews in Montrealm taking some of the congregation with him. The debate was largely over style and content, a battle which Henry again won. Neither man was involved in the physical drama however and called on their supporters to step back from confrontation. Eventually the two were reconciled, due to the respect they held for each other despite their differences. There were battles with churches back in Britain too. The Church of England was opposed to Church of Scotland Ministers receiving the same funding from the state, and denied them the right to teach. Both things wrankled with Henry, and he fought a long and hard campaign which eventually succeeded in gaining concessions. The greatest challenge of all came when it became clear the Church of Scotland back home was not in tune with that in Canada and also seemingly unable or unwilling to govern it and resolve differences. This was about the tie of the disruption and splitting off of the Free Church in Scotland. In Canada things came to a head. Firm control in the form of a new synod was set up but eventually the pressure became too much, and the split in Scotland was mirrored by the creation of the Canadian Free Church. With some reluctance at first Henry supported the split and the establishment of the new Church. Amongst other things this led him and his nephew into was dealing with the problems of slavery across the border in America when the practice had been ended in British colonies. The church was an upward battle for Henry in many ways. While his contribution was seen as very significant, it was in the field of education that he had most benefical impact, and for which he is still most remembered today. In those days huge numbers of hopeful immigrants were arriving, some who could find no unskilled work. Henry saw the need for education very clearly. He founded the Montreal Mechanics Institute, on principles similar to those employed in Scotland. The aim was to give a sound practical basic but broad education to people to allow them to make their way and prosper. . It was a highly successful venture and the institution lives on today in the form of the Atwater Library. In educational terms Henrys contributions are too many to mention here but he held classes for many, teaching to all levels, from the most basic to the most advanced. Henry’s personal life was tragic in some respects. His first wife, Maria Sweeney died in 1826, as did his child Campbell. His other child Henry Robert Esson also died young. He remarried only many years later in 1844 to Elizabeth Campbell. Both women were also influential and active. Henry’s personal life was tragic at times. Maria Sweeny his wife died in 1826 as did Campbell Esson, his younger child. Henry Robert Esson his elder child also died in childhood. He married again to Elizabeth Campbell after many years in 1842. It is said his style of preaching changed later in life, perhaps partly from his own experiencem but some also suggest his new wife could have influenced him. He still retained a progressive and humanistic view of religion until his death, as at least one significant disagreement he had with another academic shows. Henry helped to found one of the earliest colleges of Toronto University, the Knox College. He was a Professor and respected teacher at Toronto and he was enthusiastically pursuing a new post there when he passed away on 11th May 1853.